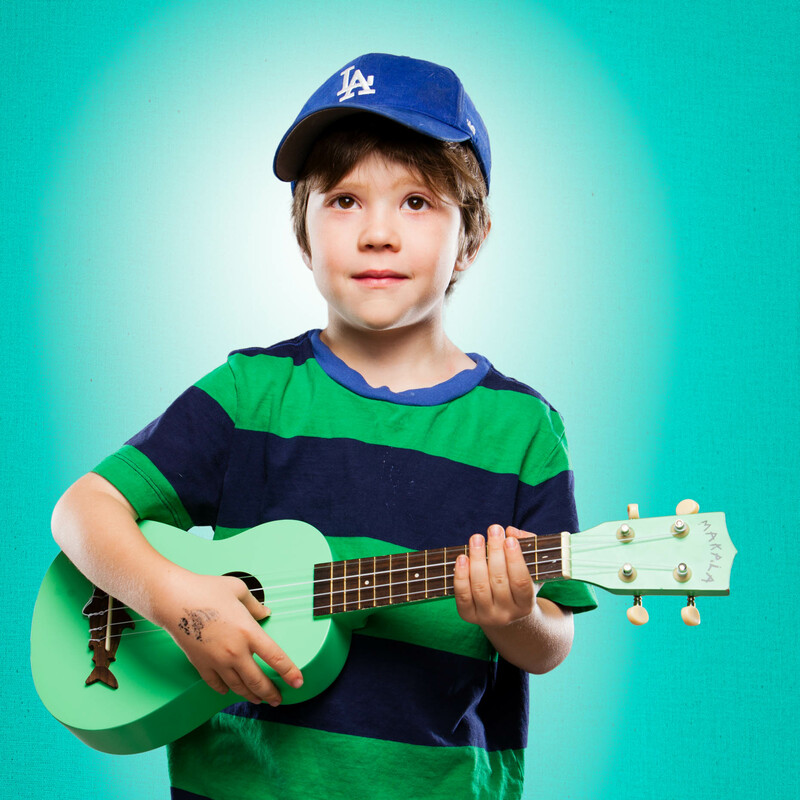 A studio portrait of a 6 year old boy, who has an interest in playing his Ukulele. This portrait was created by Steve Glass, owner of Glass Photography Portrait Studio. In all of their portraits they are looking to uncover the unique interests, creativity and beauty that each person creates. This deepest portion of a person that is created in the image of God, the Imago Dei. Steve Glass, a professional portrait photographer of Glass Photography services the men, women, children, kids, families, business and people of Fort Collins, Windsor, Loveland, Wellington and the surrounding areas of Northern Colorado and southern Wyoming (and sometime Denver), through professional photography by creating timeless portraits and heirloom prints, ranging from corporate portraits, corporate headshots, environmental portraits, editorial portraits, and beauty portraits.